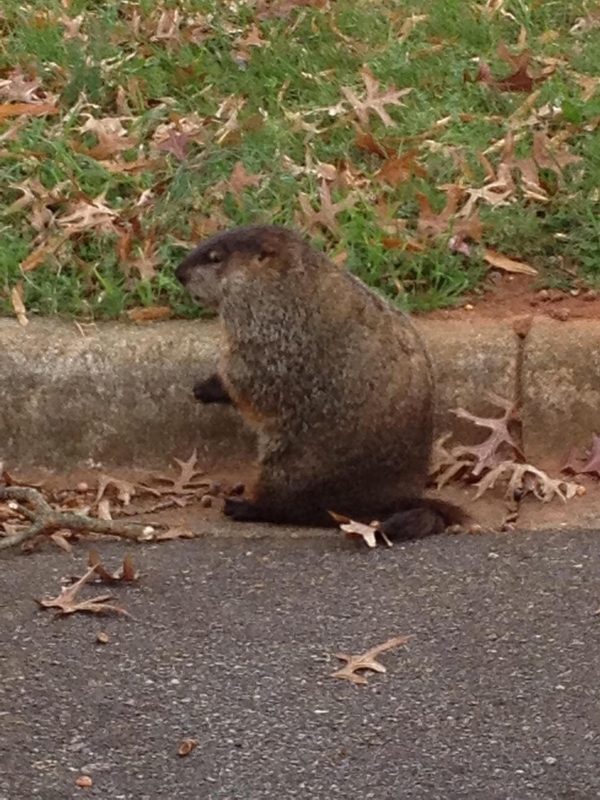 George the groundhog, who makes his home near the building I work in. Can you believe it’s already March? After nearly three weeks of snow and ice here in Raleigh, North Carolina, it’s going to be 70 degrees today! That just gives me hope that the groundhog was wrong. the way, for those of you who read the post on series, Blood and Ghosts actually has a happily-for-now (HFN) at the end rather than a cliffhanger. Of course, there’s still one more book to come which will have several well-deserved HEAs. too) to be wrapping up the series. And to answer a question I’ve had a few readers ask me, yes, I am considering a follow up book or series based on two secondary characters. I promise I’ll keep you posted! Kennedy (writing under his adult pseudonym, Aisling Mancy), the last book in the Blood series, and another contemporary novel. Between writing and editing, I can barely breathe! But that’s a good thing. I’ll be attending a bunch of conferences this year, including GRL 2015 in San Diego, Animazement 2015 in Raleigh, RainbowCon 2015 in Tampa, and Yaoicon in San Francisco. Oh, and I’ll be attending my first ever Romance Times (RT) conference in Dallas in May to kick the conference season off. I hope to see you at one of the events – be sure to come and say hello! Stay tuned for the Blood and Ghosts cover reveal coming soon. Reese Dante’s cover is amazing, as always! I’ll be running some cool giveaways, including one for a Doctor Who “Wibbly Wobbley Timey Wimey” pendant leading up to release day. And, speaking of giveaways, congratulations to Dan, who won an ebook for commenting on the series post.